The U.S. Supreme Court isn’t the only judicial panel to wrestle with difficult Daubert questions lately. While the Supreme Court ponders the potential fate of Daubert’s role in certifying a class, on the opposite side of the country the 9th Circuit has decided a case that makes failure to hold a Daubert hearing a very costly error in that regional jurisdiction. In a decision published November 16, 2012, the 9th Circuit panel has held that a district court’s failure to hold a Daubert hearing or otherwise determine the relevance and reliability of expert testimony was an abuse of discretion, resulting in reversible error which dictated a new trial. The defendants involved in the case might be pleased with the panel’s decision, as the district court entered a judgment for plaintiffs of almost $10 million following a jury verdict – a pricey award against defendants which was effectively erased when the 9th Circuit vacated the judgment and remanded the case. The decision is one that merits attention by plaintiff and defense counsel in the 9th Circuit (and potentially other regional circuits), as it underscores the importance that a relevancy and reliability determination be sufficiently made on the record before expert testimony can be presented to a jury. Failure to do so can jeopardize a verdict, as well as be potentially costly in both time and possible future legal fees. The case involved a claim that plaintiff developed mesothelioma caused by occupational exposure to asbestos. Following a motion in limine filed by one of the defendants, the district court excluded one of plaintiffs’ experts based upon his alleged “dubious credentials and his lack of expertise . . .” That, however, wasn't the end of the case. 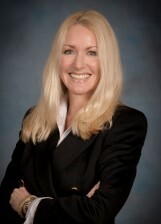 At a pretrial conference, upon plaintiffs’ motion seeking reconsideration of the district court’s initial ruling excluding the expert, the district court changed its mind and reversed its decision to exclude, allowing the expert testimony based upon additional information supplied in plaintiffs’ motion. A jury trial ensued (together with various motions by defendants) and the district court ultimately entered a judgment affirming a jury award of almost $10 million in favor of plaintiffs. However, the district court made a mistake that the 9th Circuit would later find fatal on appeal – although it considered additional information about the expert contained in the plaintiffs’ motion for reconsideration, the district court never actually held a Daubert hearing. Criticizing the district court for leaving the relevance and reliability determinations here to the jury, the 9th Circuit stated, “Kumho and Daubert make it clear that the court must, on the record, make some kind of reliability determination.” Concluding that the district court failed to do that here, the 9th Circuit determined that the district court abused its discretion and committed reversible error. The result? The majority circuit panel, rather than remanding the case first for Daubert determination (as was suggested by one Circuit Judge in a concurring opinion), decided that the Daubert error at the district level was severe enough to warrant a new trial. Thus, the district court judgment was vacated, and the case remanded for a new trial. Is a Daubert Hearing Always Required? Whether or not a full Daubert hearing is necessary is a question that has differed among regional circuits, depends on case facts and circumstances, and has been the subject of interesting legal commentary. Circuit courts (as was similarly alluded to by the U.S. Supreme Court during recent Comcast Corp. v. Behrend oral arguments) seem to be concerned not so much with strict adherence to a predetermined format or “magic words,” but rather a showing - on the record, no less - that the district court has sufficiently assessed an expert’s proffered testimony and determined it is reliable and relevant before it can be presented to a jury. The case is Barabin v. Astenjohnson, Inc. (9th Circuit, Nov. 16, 2012). Under what circumstances do you think a full Daubert hearing is required? Do you agree with the 9th Circuit’s finding that a new trial was warranted in this case? Or do you think the parties should have been allowed to conduct and "retroactively" apply a Daubert hearing, with the decision to conduct a new trial dependent on the outcome of the hearing? Thanks for your interesting comment. You underscore the fact that Daubert (and Kumho) factors are not hard and fast rules to be rigidly applied, but are largely dependent upon the particular facts and circumstances of the case at issue. And, no, your case example doesn't sound simple at all! Thanks for sharing your experience. To Economic Consultant: That's a great question. In this case, one of the defendants filed a motion in limine (pretrial evidentiary motion) to exclude the plaintiffs' expert. The district court granted the motion and excluded the expert in question, citing "dubious credentials and his lack of expertise...". The plaintiffs then filed a "Motion for Pre-Trial Daubert Hearing" which sought reconsideration of the district court's ruling to exclude their expert. Included in the plaintiffs' motion was information concerning the expert's use in other courts (ostensibly to address the district court's concern with credentials and expertise). The plaintiffs' motion must have been quite persuasive, as the district court, relying only on the information in the plaintiffs' motion, proceeded to reverse its prior exclusion of the expert's testimony without benefit of holding a full Daubert hearing. Your point echos the reasoning of the 9th Circuit, in that the court abused its discretion when it failed to conduct a full Daubert hearing. Rather, the court simply reversed its decision to exclude based upon information supplied by the plaintiffs. Perhaps the moral for plaintiffs should be, "Be Careful What You Wish For." If neither side submits daubert challenge against the experts, how is it possible for the court to decide whether the expert(s) should be excluded? This is especially relevant when the issues are highly specialized. In that case, should the court hire yet another expert? As an engineering expert for power plant related cases, Daubert and Kumho present major challenges for testimony about practical matters for which there is no published academic papers/studies. For example, on a recent case where a diesel engine was supposed to be "remanufactured", at issue was the alleged use of silicone RTV (like household caulking) to seal around the cylinder liners. Sounds simple but it brings up issues of the physical properties of the particular silicone in presence of certain lubricating oils, diesel fuel and engine coolant with or without antifreeze. Also the cleanliness requirements of the surfaces at the time of application. With 40-years experience and solid analytical capabilities I can offer what I believe is a sound argument for why use of that silicone is a really bad idea and causes failures, but find academic papers that apply, Good Luck! This was a great article, thanks much. I am a real estate appraiser and we have dealing with the Daubert Issue for years. This helps enormoulsly.